Get a special price on the VaporFi Rocket 3 and other VaporFi products by clicking the button below. You will be taken straight to the company website and the discount will appear automatically. The VaporFi Rocket 3 is a new and improved version of the original Rocket, which I had a chance to review a couple of years ago. While it was a great device when it came out, two years is a long time in a rapidly evolving industry, so, earlier this year, VaporFi decided it was time for a serious upgrade. 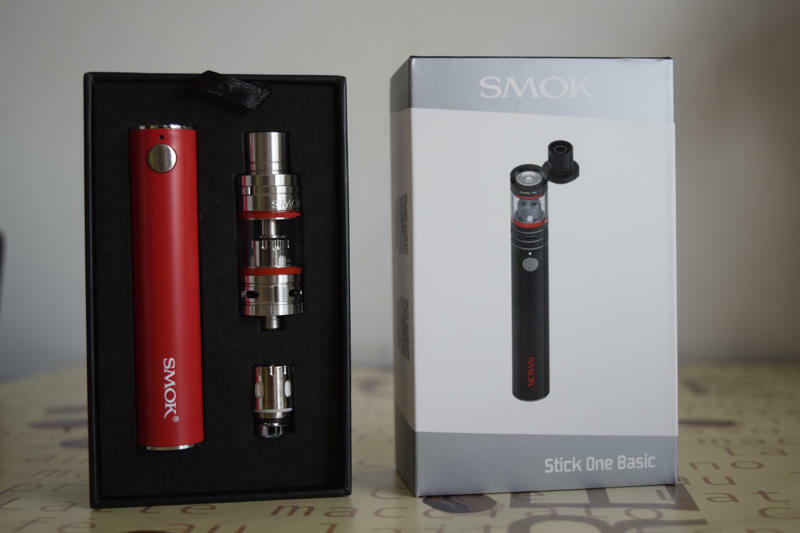 The Rocket 3 features a familiar cylindrical design, but now comes with sub-ohm coils, temperature control and improved battery capacity. 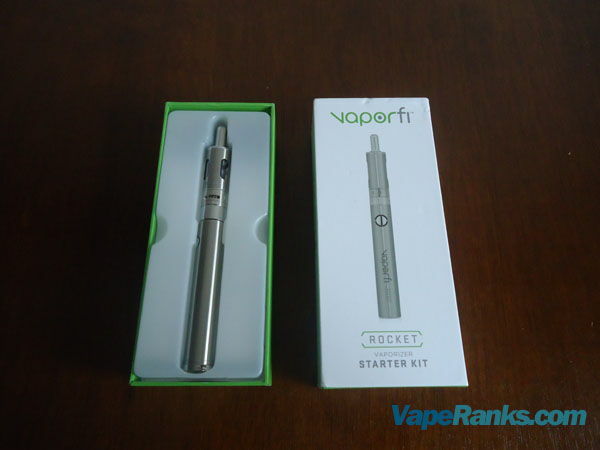 It’s basically an advanced vaporizer aimed at beginners and intermediate users. 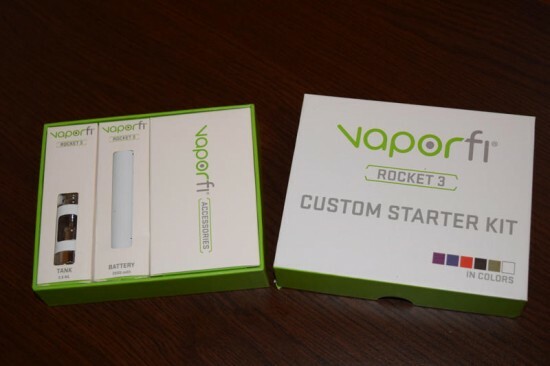 The VaporFi Rocket 3 starter kit comes in a square cardboard box decked in green and white, the traditional colors of the popular e-cigarette brand. The package is a sort of Russian Matrioshka doll, as inside you’ll find three other smaller boxes – one holding the 2500mAh battery, another for the Rocket 3 tank, and a third for the accessories (a USB charger, an extra 0.1Ω Ni200 coil head and a couple of spare o-rings). It’s a fairly standard starter kit package, meaning that it contains everything you need to start vaping, minus the juice. If you’re an ex-smoker looking to give vaping a chance, the VaporFi online shop is also a great place to buy your first juice, as it offers one of the most impressive lineup of flavors and even gives you the chance to create your own blend, by mixing together multiple flavors. With its classic cylinder shape, The Rocket 3 battery looks about the same as the old one, but that’s pretty much where the similarities end. 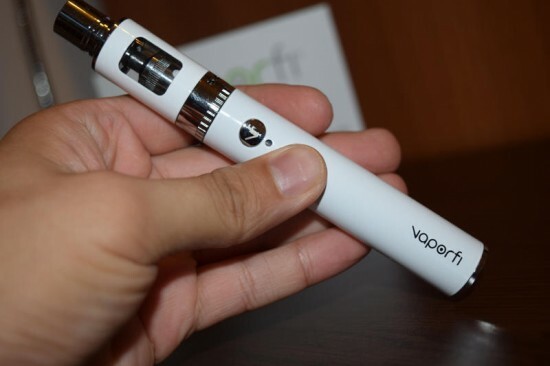 The capacity has improved considerably and VaporFi has implemented some new tricks to help it compete against the ever-rising number of competitors. The new battery has a smart sensor that recognizes both Kanthal and Ni200 coils, and switches from power mode to temperature control accordingly. It also has three power/temperature settings to choose from – 30W/400°F, 40W/500°F and 50W/600°F – offering a customized vaping experience. The connection is still a classic 510, which means you can use it with other atomizers as well. The tank, on the other hand, is much different than the one of the original Rocket. 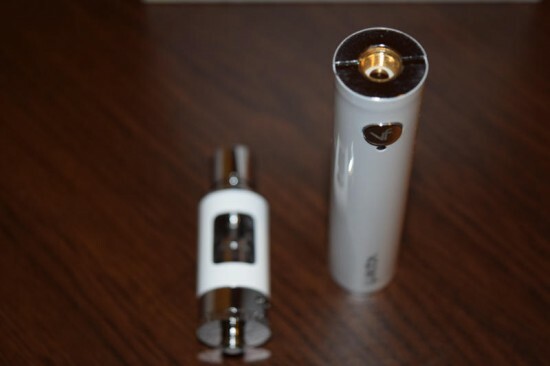 For one, it has an improved e-liquid capacity, being able to hold up to 3.5ml. But that’s not all. It also features a top filling system that makes refilling a simple mess-free affair, airflow control, a detachable drip tip, as well as support for sub-ohm coils. You really couldn’t ask for more from a device aimed at beginners and intermediate vapers. As I mentioned, the new VaporFi Rocket 3 has a 2500mAh capacity which should keep casual users vaping for at least a day. Having gotten used to dual 18650-battery mods in the last year or so, I personally only got about 8 hours of use out of it, but that was in extreme conditions. I was practically using it non-stop, so I’m pretty sure that fresh ex-smokers and beginners looking for a superior device will get over a day, if not two out of this battery, especially when using it at the lower settings of 30W/400°F and 40W/500°F. 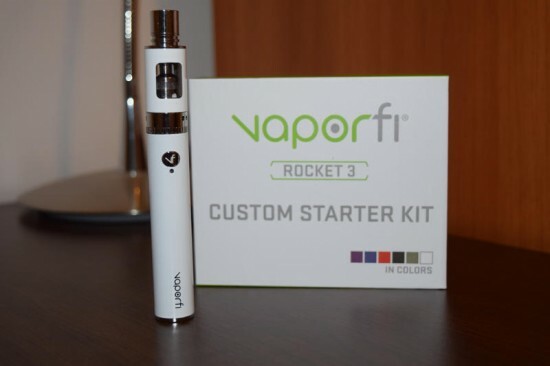 While it doesn’t have an LED display with a battery life indicator like other advanced mods, the Rocket 3 does feature a small LED that lights up in different colors when you press the fire button, depending on battery level. When fully charged, the LED will light up green, when the battery level begins to decline, the light will turn white, and when it’s running low on power, the light will be red. I suggest not letting the battery deplete completely, as it will take longer to recharge and may also permanently decrease the amount of power battery cells can store. The VaporFi Rocket 3 battery automatically switches between power mode and temperature control mode depending on what coil you’re using and has three different setting to choose from for each. You can swap between these settings by pressing the power button three times in rapid succession. Each time you’ll notice the LED indicator changing color. So if you’re battery is firing at 30W/400°F, the light will be red. Pressing the fire button three times will bump the output to 40W/500°F and the light will turn red. Finally, at 50W/600°F, the LED indicator will be green. It’s a really simple and effective way to introduce new vapers to advanced features like variable wattage and temperature control. I remember that, in its heyday, the old VaporFi Rocket was better than most other vaporizers on the market, when it came to vapor production, but the Rocket 3 has a lot more competition nowadays. 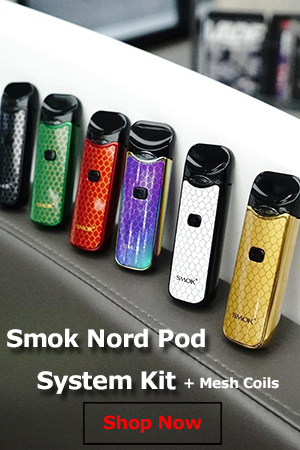 You obviously can’t compare it to advanced devices like the SMOK OSUB 80W, or the new 220W Alien, but as far as entry level devices go, I would say that it’s on par with the best of them, and definitely better than most. The improved vapor production of the Rocket 3 has to due with several improvements. First of all, the considerably higher power output – up to 50W – of the battery makes all the difference. Then there’s the support for sub-ohm coils, with the Ni200 one going as low as 0.1Ω, and the three different power.temperature settings to choose from. 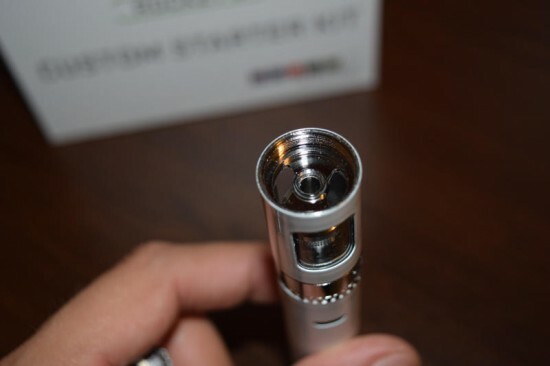 The design of the tank and the coil heads also have a positive effect on vapor production. The airflow control system at the bottom of the tank actually plays a major role, as do the overall design of the coil heads, particularly the giant air holes on the base and the large wicking holes. The 0.5Ω Kanthal coil works really well, especially at the maximum setting (50W), but you can get some decent clouds at the lower power settings, if you want to save battery life. I prefer to keep the airflow slots on the tank wide open for direct lung hits, which also enhances the amount of vapor produced, but if it’s two airy for you, just leave one slot open on each side. That’s the beauty of a device like the Rocket 3, you have a great deal of customization available. All in all, I was very pleased with the vapor I got from this thing. I’d say it’s about as good as the Joyetech eGo AIO, and that’s definitely saying something. Whether you’re looking for your first vaping device, or a re preparing to upgrade from cigalikes, the VaporFi Rocket 3 is a great choice. 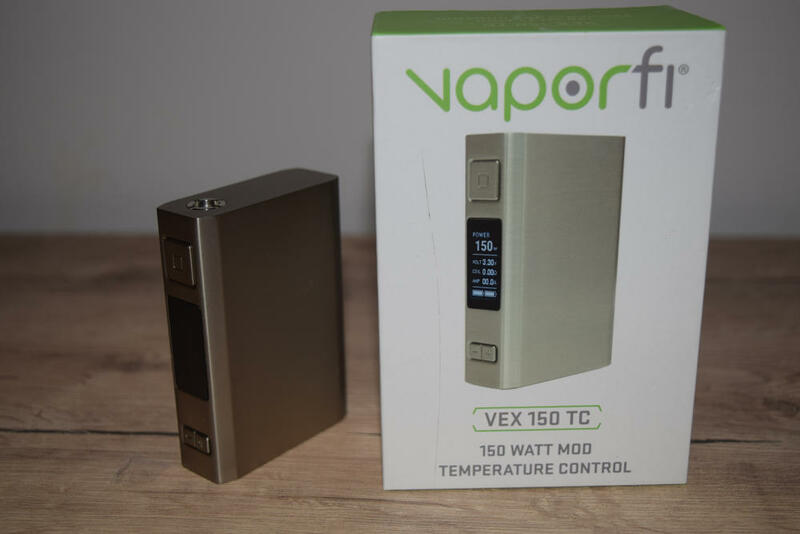 It introduces advanced features like variable wattage and temperature control in a really simple to use package that doesn’t seem overwhelming at all. The battery life is outstanding for a device this size, and vapor production is about as good as it gets for an entry-level or even intermediate vaporizer. The fact that it’s made by one of the most respected companies in the vaping industry is also a plus in my book. Leaks badly. I had to quit using it. I kind of have to question the transparency of this website when their top rated vaporizer is a rebranded Kanger Subvod TC Mega at twice the price. I’ve used the Rocket III before. I’m friends with the owner/operator of the local VaporFi franchise. It’s really nothing special, and I can’t even really recommend it as a beginner’s device because adjusting it isn’t super intuitive. The owner of the local franchise even told me it isn’t their most popular device as consumers find the single button interface “confusing”. I respect your opinion, but please keep in mind that you are referring to the e-cigarette rankings. The advanced vaporizer rankings is under the “Mods” tab. 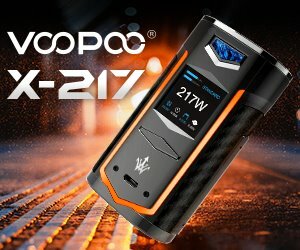 VaporFi has a HUGE blowout right now on their VEX 150W TC MOD & in the 4000mah battery included 80w TC Mode… As of 1/16/2019 they’re both only $15 each! Great reviews, long battery life (reported on the 80w, the 150w requires two 18650’s), superior customer service (24/7, hassle free returns, return shipping paid, awesome)… No, I don’t work for VaporFi… I’m sure they would rather you buy this pen at $49.99. I just love a deal! Love. A. Deal. I want people to support VaporFi because in my experience, they are the best all around vape shop/online retailer. I just wish they sold a diy kit or VG/PG & nicotine and maybe a link to The Flavor Apprentice. Just a thought, if anyone at VF is reading this.